Transparent electrodes are of considerable interest for applications in organic electronic technology such as light-emitting diodes, field-effect transistors, sensor and solar cells. A particularly useful application is as a transparent electrode in organic solar cells due to their excellent electrical and optical properties. Currently, Indium Tin Oxide (ITO) is one of most widely used transparent electrodes in organic solar technology due to the low sheet resistance coupled with high optical transmittance. However, the price of ITO has increased significantly in recent years due to the limited indium resources. In 2010, it priced up $570/kg (the U.S. producer) and $640/kg (the New York dealer). In addition to the high prices, the deposition of ITO onto substrates is typically through a sputtering process, which requires high vacuum conditions thereby climbing up fabrication costs. Hence, the search for alternative electrode materials for ITO that are sustainable, economically viable, highly transparent and have excellent conductivity is necessary for the next generation of organic solar technology. With the discovery of graphene, a monolayer of graphite with a thickness less than 10 nanometres, a new transparent electrode for organic solar cells becomes possible. My goal is to fabricate graphene films for use as a transparent electrode in organic solar cells. The graphene films have been directly grown on thin copper deposited substrates at a relatively low temperature below 500 °C by using suitable carbon sources. This makes possible high quality graphene films with low-cost fabrication. This shows promise as a transparent electrode for organic solar cells. 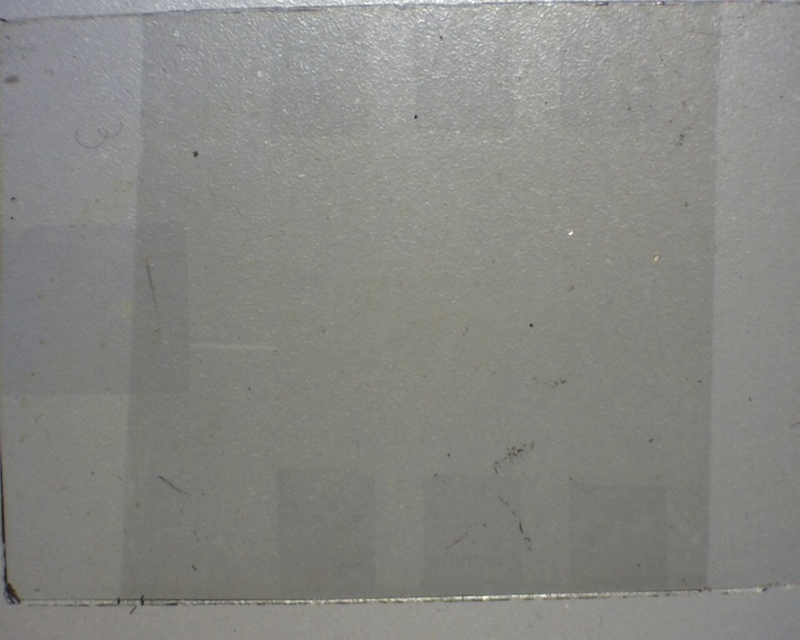 The image shows a photograph of graphene thin film prepared as the transparent electrode for a solar cell.